Hotel has a tranquil waterside location, but you don't have to go far to experience the bustling city life. 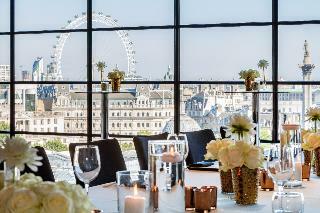 A panoramic 360-degree view across London on the roof terrace. This hotel conceptualized with a conscientious and eco-loving approach has recycled glass, paper and leather furnishings and electronic newspapers. 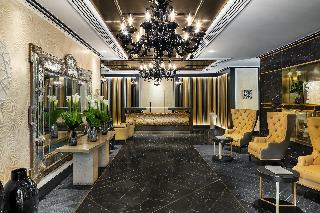 No plastic policy hotel wide.The hotel features luxurious rooms and suites with abundance of natural daylight. Every room offers air conditioning, safe, heating, minibar, desk, organic and natural product toiletries, tee/coffee making facilities and a touch control glass panel enabling door access, lightening and air-conditioning control.The hotel's restaurant is ideally situated and provides superior formal and casual dining with magnificent views. Using organic product in dining room. Unwind in the lobby lounge with a signature cocktail. 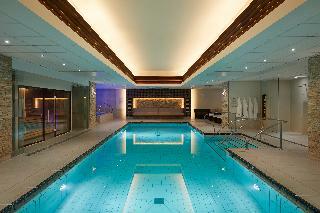 It includes sauna, steam and relaxation room, fitness studio and hydro therapy pool. There is free broadband and Wi-Fi. 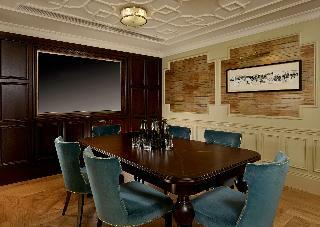 Location offering state of the arts boardroom facilities for the business traveller. 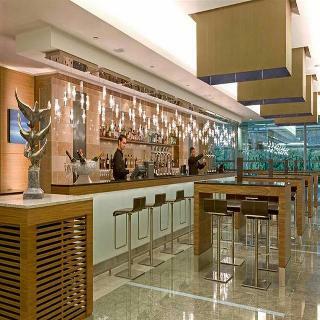 This business and conference hotel is linked to Terminal 5 at Heathrow Airport. Windsor is less than 16 km away and can be reached in just 5 minutes by car, and Central London is only 21 minutes away via the Heathrow Express train. This airport hotel has 605 bedrooms, including 27 suites. 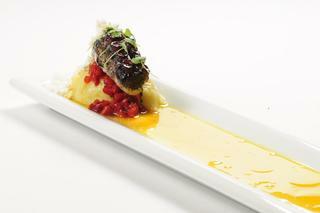 Fantastic range of restaurants, a café and bars are offered, allowing guests to experience haute cuisine. There is always the opportunity to slip into the lounge for afternoon tea or an intimate night cap. The 4-storey establishment is fully air-conditioned and welcomes its guests into a lobby and offers a hotel safe, currency exchange facilities and lift access. Room and laundry service are provided and guests arriving by car can leave their vehicles in the car park. The Radisson Blu Edwardian Hampshire Hotel, part of Edwardian Hotels London, is located in the heart of the city's iconic film and theatreland. The building itself is a striking combination of classic red-brick architecture and a sleek, contemporary interior. Especially eye-catching are the incredible views guests can see from their rooms, taking in the London Eye, Nelson's Column and a close-up view of Leicester Square Gardens which is fabulous during movie premiere nights. A 24 hour fitness room and 6 private meeting spaces hosting between 2 and 120 people complete the hotel's outstanding facilities.The 127 bedrooms include doubles, family rooms and suites, featuring luxurious 350 thread count Egyptian cotton bedding, down pillows, REN toiletries, Italian marble bathrooms, elegant decor and cutting-edge technology, with Samsung TVs offering up to 300 channels in multiple languages and free high-speed WiFi up to 150mbps on an unlimited number of devices. For a real treat, book into one of the hotel's stunning square-facing rooms or suites to make it feel as if you are floating above the bustling Leicester Square. 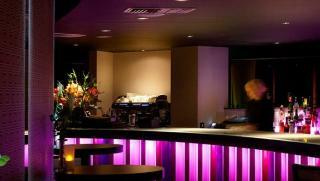 Leicester Square Kitchen is a place to enjoy superb food in effortlessly cool surroundings. Contemporary furnishings coupled with a relaxed atmosphere provide the backdrop to a fabulous fusion of Peruvian-Mexican sharing plates, with all food being prepared onsite. Meanwhile, (the) At The Hampshire Lounge Bar and al fresco terrace offers afternoon tea and light snacks. 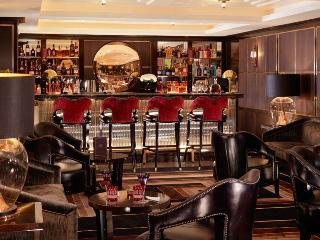 Always on trend, the Lounge Bar also regularly collaborates with some of the world's finest food and drink brands. Famous sights and attractions, such as Soho, Piccadilly Circus, China Town, Covent Garden, Mayfair, Regent St, Trafalgar Square's National Gallery and National Portrait Gallery, Fortnum and Mason and the Embankment, are all minutes away, as is Leicester Square Underground station (linking to London Waterloo). Please provide a valid credit card upon arrival at the hotel.